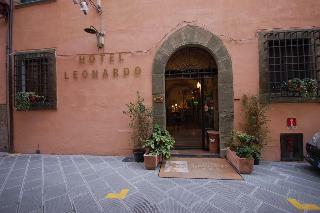 This hotel lies in the centre of the historical centre, between the river and the Piazza dei Cavalieri. An abundance of shops are located in the immediate vicinity as well as restaurants, bars, nightclubs, public transport. The tourist centre and the Piazza dei Miracoli with the Leaning Tower of Pisa are all within 400 m from the hotel. The sea and the beach lie within 20 km of the hotel. Built in 1600 and renovated in 1998, the 4-storey hotel is built beside a main road and has a total of 27 rooms, of which 8 are singles and 19 are doubles. Guests are offered use of a lobby with a 24-hour reception, a safe as well as a lift. All of the comfortable rooms come with an en suite bathroom with hairdryer and are fully equipped as standard. There is a golf course located 20 km away. City centre - 0.400 Km. Bus/Train station - 1.000 Km. Nearest Bus / Metro Stop - 0.250 Km. Location is everything at the NH Pisa hotel, formerly known as the NH Cavalieri. Situated right in front of the central train station, visitors are just a pleasant 20-minute stroll through Pisa's historic centre to the famous leaning tower. The airport is only 10 minutes away from the airport bus stop right outside the hotel. If you're driving to the hotel, you can leave your car in the private garage. When it comes to style, all the rooms offer a choice of contemporary or classic. All of them come with modern comforts like a minibar and free Wi-Fi. At the restaurant, prepared fresh each morning, the breakfast buffet ensures a balanced, healthy start to your day. Guests can also request hot dishes made to order. If you are an early riser or have to leave before the buffet opens, ask reception about the availability of an early bird breakfast. For your convenience, the hotel also has an Open Bar that is available 24/7, ideal for drinks, a quick snack or a light meal if you don't want to leave the hotel. City centre - 1.700 Km. Bus/Train station - 0.100 Km. Nearest Bus / Metro Stop - 0.100 Km.